Can Singapore become completely cashless? Cash is king, albeit an old, aged and primitive one. It is cumbersome, it is bulky, it is susceptible to decay, it is convenient for corruption and it stinks (but oh, does it stink so good). It costs a lot of money to deal with cash. Cisco has a massive operation just managing the logistics of transporting and storing money. Retail outlets have spend time and resource to deal with the cash they collect. It is inconvenient and expensive. There are so many reasons to go cashless, but are Singaporeans adopting these technologies readily? The ease of conducting financial transactions is probably the biggest motivator to go digital. You will no longer need to carry wads of cash, plastic cards, or even queue up for ATM withdrawals. It’s also a safer and easier spending option when you are travelling. In the event of theft, it is easy to block a credit card or mobile wallet, but it is not easy to recover stolen cash. Advancements in technology such as cryptocurrency can even help to automate and authenticate transactions in such speed, accuracy and security that existing technologies cannot have. In the future, cryptocurrencies can even help to automate and autonomize machines, empowering them to do business on our behalf. Thanks to the technologies in blockchain, autonomous vehicles can drive, take on passengers, collect payment and surrender payment to the machine owner all on their own. Is that not magical? For today, we have to start off with weaning people off cash. Or at least change the concept of cash. We’ve started with contactless payments such as cashcard and EZlink cards, but that is not enough. Those forms are payment were designed for a particular purpose, outside of that purpose there would be no need to use them. This is where experiments in electronic wallets would come in useful. The banks have tried many projects; QR code payments, fingerprint payments and now mobile phone payments, some have folded and others are still taking time for market adoption. The latest foray into digital payments is the digital wallet. DBS and OCBC have launched Pay Lah! and Pay Anyone for some time now. With this technology, you can send and request payments with only the recipient’s mobile phone number. Despite the availability of all these means and methods, Singaporeans are not catching on. 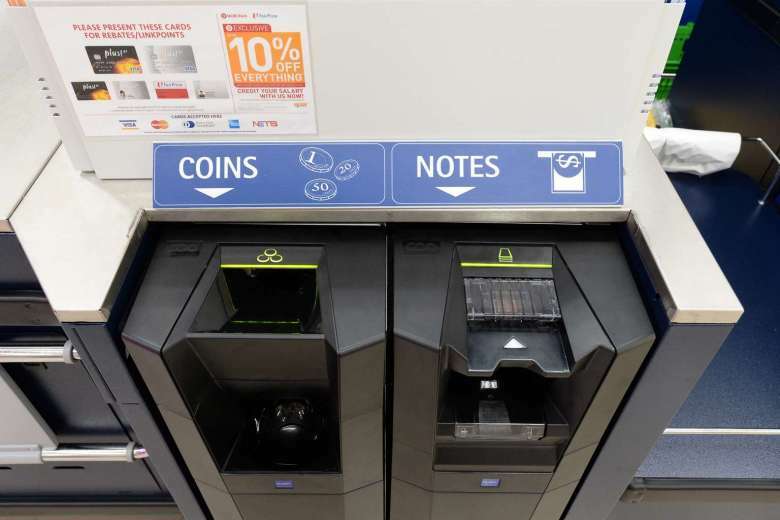 A KPMG paper – which was commissioned by the Monetary Authority of Singapore (MAS) in 2016 – found that despite the move towards new payment methods, more than 70 per cent of businesses surveyed said there were simply too many new options to deal with as a business, with different fees incurred for each. Interoperability was cited as a key barrier to adoption. We are a little backward. In China, everyone in major Chinese cities is using a smartphone to pay for just about everything. At restaurants, a waiter will ask if you want to use WeChat or Alipay — the two smartphone payment options — before bringing up cash as a third, remote possibility. Transactions done over the internet are almost exclusively paid for using digital means. There are even anecdotes of how people misplaced their ATM cards and hardly realising it for months. A cashless society will greatly benefit Singapore. It provides for better security, provides trust and helps improve businesses. The next time you’re making a payment to a friend, think about trying out one of these technologies.